Essa Moosa spent his entire life in the struggle against racism and discrimination. He struggled with Nelson Mandela against the racist Apartheid regime in South Africa. He defended Mandela as his lawyer in courts. He also became the comrade and defender of the rights of all oppressed people as a human rights defender. 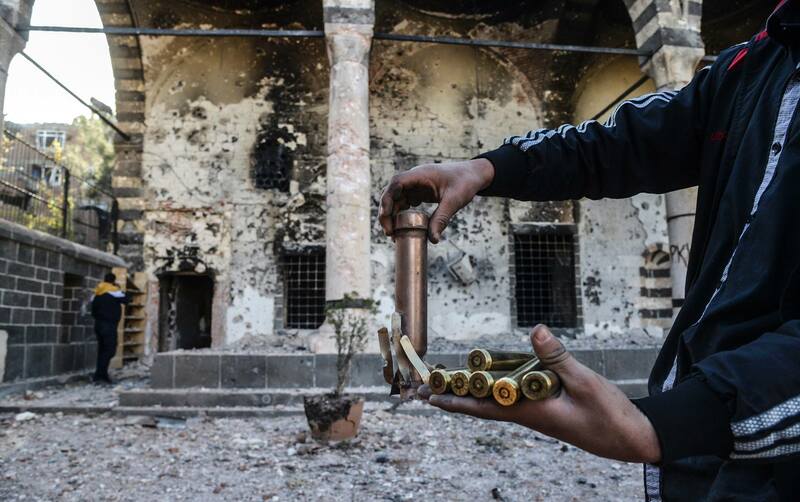 The United Nations Human Rights Council has completed the file on the human rights abuses in Turkey and the massacres committed by the Turkish state in Cizre, Sur, Nusaybin and other cities in Northern Kurdistan. A special unit formed within the UN Human Rights Office of the High Commissioner, who weren’t allowed by the Turkish state to enter Northern Kurdistan to investigate, has submitted their report on the Cizre massacre to the United Nations Security Council. KCK (Kurdistan Communities Union) Executive Council Member Mustafa Karasu spoke to ANF about the AKP government’s genocidal policies, upcoming referendum and KRG President Barzani’s visit to Ankara. Allegations of major human rights violations have emerged from Koruköy, a village of perhaps 500 in Turkey’s largely Kurdish southeast that’s been under military blockade since February 11. 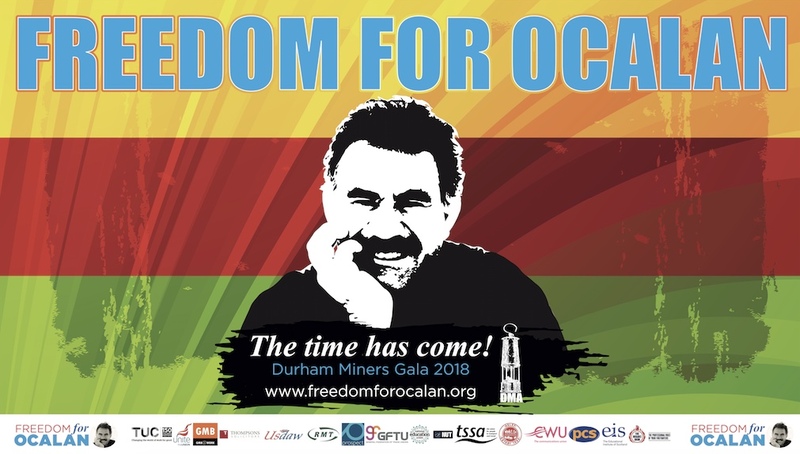 A delegation of former and present members of the European parliament and the Council of Europe, as well as academics and journalists who met Ocalan’s lawyers in Istanbul last weekend, is to send a team to Strasbourg to ask the Committee on the Prevention of Torture (CPT) to intervene. Her voice crackling through the microphone, but with an expression of defiance clearly visible on the prison video, Caglar Demirel spoke from a distance of 1,000km to a panel of three judges in a heavily-guarded court room here. 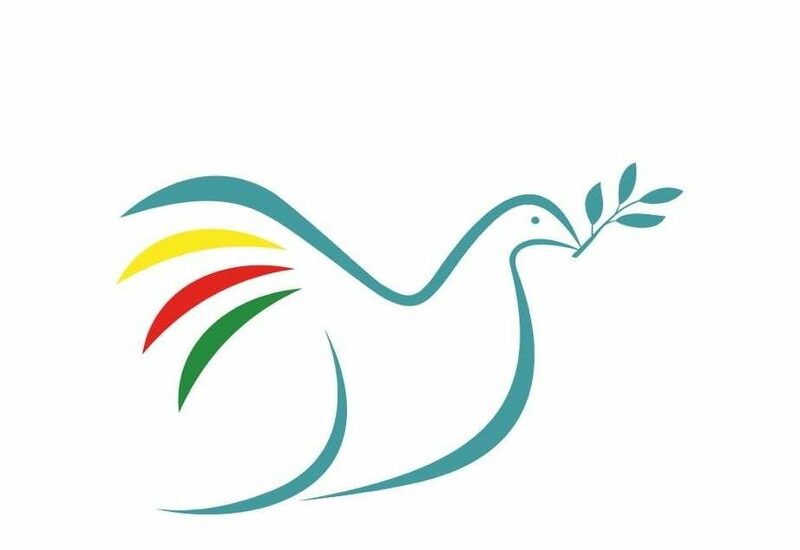 An international peace delegation organized by the EU Turkey Civic Commission (EUTCC) and consisting of 11 members from Europe and North America, including Members of European Parliament and of the Council of Europe, academics, and journalists, has been in Diyarbakir and Istanbul this past week. The delegation has met with representatives from the Kurdish Freedom Movement, political parties, trade unions, academics, journalists, and other civil society organizations. The Kurdish People’s Democratic Party (HDP) in Turkey praised a recent demand from the president of the Kurdistan Region to release the imprisoned HDP leaders and MPs for “the interest of peace” in the country. Experts told ARA News that a return to peace talks between the Turkish government and the Kurdistan Workers Party (PKK) is unlikely, after rumours that peace talks could re-start in Turkey. The Turkish government could need more stability before the planned presidential referendum planned in April. Turkey’s beleaguered pro-Kurdish bloc was dealt a further blow Feb. 21 when the parliament stripped its imprisoned co-leader of her seat. An appeals court upheld Figen Yuksedag’s conviction of spreading terrorist propaganda. Turkey’s pro-Kurdish Peoples’ Democratic Party (HDP) has filed an application at the European Court of Human Rights regarding the continued arrest of its co-leaders , Selahattin Demirtas and Figen Yuksekdag. Families of the three revolutionary women murdered in Paris have filed charges for the investigation that was closed after the suspect died under suspicious circumstances to be reopened. With the filed charges, the families are expecting to ensure the identification and trial the people who ordered the executions. These charges are filed against the co-conspirators of the executions. Syria’s chief negotiator at UN-sponsored talks in Geneva demanded on Saturday that all opposition parties at the talks condemn the deadly assault in Homs or be considered “accomplices of terrorism”. The top US military commander for the Middle East made a secret trip to northern Syria on Friday to meet a US-backed alliance fighting the Islamic State (IS) group, the alliance’s spokesman said. The Pentagon’s top military officer on Thursday underlined that one of the complex challenges the US will face in the future is how to navigate the animosity between the two key US allies in Syria: Turkey and the Syrian Kurds. Turkey would ‘certainly’ consider a military operation to capture the town of Manbij in northern Syria if the United States did not commit to “its promise” of Kurdish forces’ retreat from there, said the country’s Defense Minister Fikri Isik on Tuesday. The South African revolutionary, the lawyer of Nelson Mandela and Abdullah Ocalan, Mr. Esa Moosa has sadly left us today. His passing away is a massive loss for the people of South Africa, the Kurdish people and the whole progressive establishments. We, as his friend and comrade, are deeply saddened by his loss. David L. Phillips, Director of the Program on Peace-building and Rights, addressed a Conference in the National Assembly of France on US-Turkey relations and the situation in Syria (17 February 2017). My remarks focus on US-Turkish relations. They address the prospect of improving relations between Turkey and the United States, during President Donald J. Trump’s administration. Remarks also consider potential areas of agreement between the US and Turkey, as well as flash points in US-Turkey relations. Flash points include Turkey’s demand for the extradition of Fethullah Gülen and discontinuation of US security cooperation with Syrian Kurds. http://www.humanrightscolumbia.org/sites/default/files/pbhr_turkey_brink.pdf for the full text of his presentation. Syria’s Kurds—specifically the People’s Protection Units (YPG)—have been the most successful group to fight the Islamic State in Syria. They have also done the most to save and rescue the Yezidis after that religious minority was largely abandoned by Iraqi Kurdish leader Masoud Barzani’s peshmerga. Turkish state forces continue their siege of Xerabê Bava village, of Nisêbîn district, of Mêrdin province, for the 12th day. The attacks in Xerabê Bava (Koruköy) are carried out under the leadership of Bornova 2nd Gendarmerie Commando Brigade of Turkish Military. Xerabê Bava is a Kurdish village where humanity is trampled on with all sorts of cruelty being executed by Turkish soldiers. WHILE watching TV images of Theresa May cosying up to President Erdogan made painful viewing, the real torture was continuing as usual behind closed doors elsewhere in Turkey. With a Feb. 28 deadline for the Pentagon to deliver revised plans to defeat the Islamic State in Syria fast approaching, speculation is rife as to what they will contain and the main players are spinning their own versions of a likely outcome. A crowd of young Syrian fighters lined up behind a pickup truck to receive their equipment: an AK-47 and a load of ammunition. The battlefield gear was their reward for completing a 20-day course led by US Special Forces in northern Syria in how to fight Daesh. In a two-part investigation for The Nation, published here and here, Roy Gutman has accused the Syrian Kurdish militia, the YPG, of systematically violating human rights in the area it controls. Below is a response from critics, followed by Gutman’s rejoinder. The ongoing conflicting environment in our country continues hurting us by multiplying the suffer that it causes. Soldiers, policemen, organization militants and civilians are losing their lives every day. In a little while, we will share with you the horrifying balance sheet and grave human rights violations which are generated and caused by this conflicting environment under categorical headings.